A true judge of a great tasting sinigang recipe is by my daughter's palette. Not only is she a typical 7 year old picky-eater, she is also a sinigang connoissuer. It has been her favorite dish eversince she started eating solid foods. I remember passing all the meat and veggies through a blender for her and she would be able to finish an adult-sized bowl. 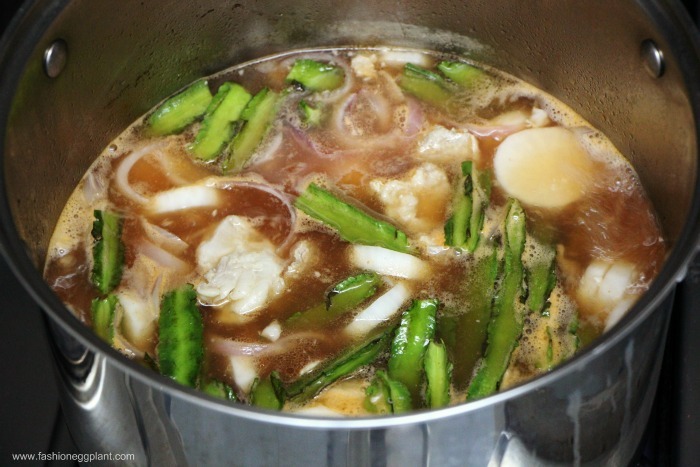 This is why in our family, sinigang always has to be part of our weekly menu. When I first mentioned Red Sinigang to Dennis, he was put off. He is a fan of the traditional pinoy food route wherein you have to use everything from scratch down to the sampaloc. Upon my insistence, he finally gave it a try and was surprised to find out the rich umami flavor that the tomato sauce contributed to the broth. 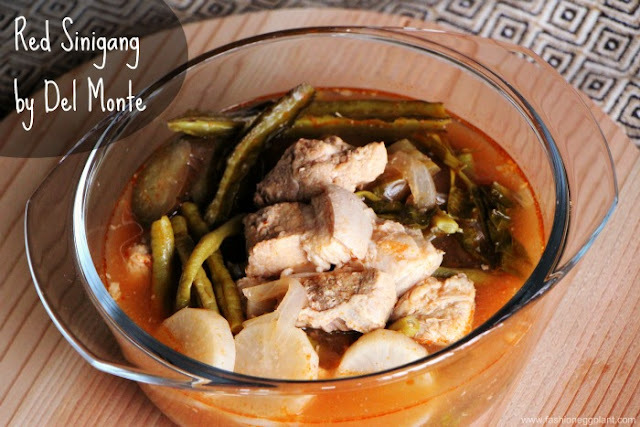 Not only that, it actually resembles this sinigang dish (with a twist) from a favorite restaurant of ours. We've been trying to crack their recipe for months but to no avail until now. I think their "Secret Ingredient" might actually be Del Monte Tomato Sauce! Try this recipe out and see for yourself if you can guess which restaurant I'm talking about. Combine water, pork and patis in a pot, bring to a boil and simmer until pork is near tender. Add sinigang mix, onions, sili, sigarilyas, radish and Del Monte Tomato Sauce, allow to simmer. When radish is almost cooked, add okra, eggplant and string beans. Season with patis and allow to simmer. 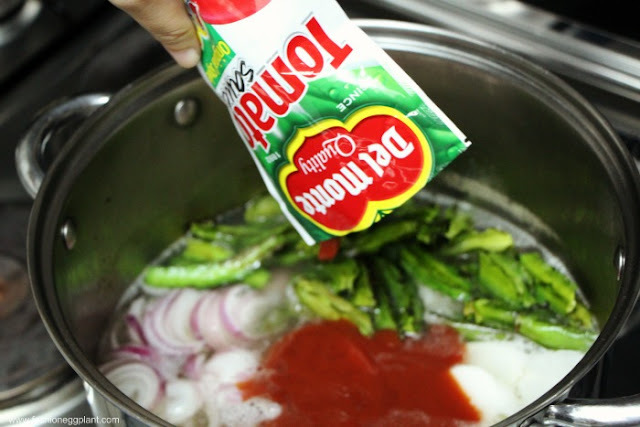 Make sure your okra and string beans don't overcook and still have a bit of a crunch to them. Add kangkong, simmer for less than a minute. Serve hot with white rice on the side. ps. for a vegan take, try replacing pork with white beans. used canned for instant cooking or soak fresh beans overnight before cooking. 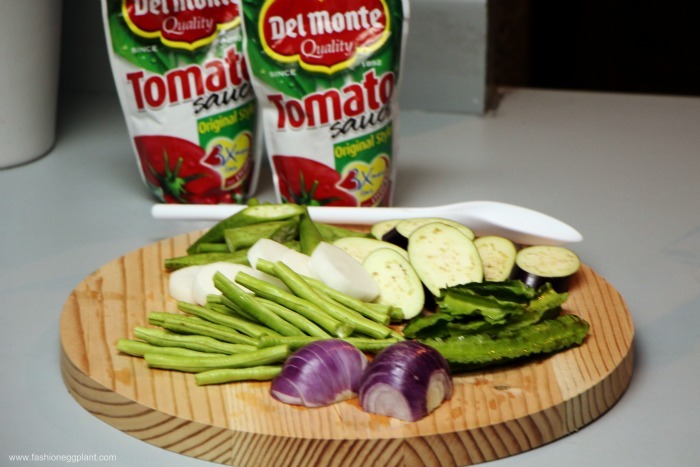 Del Monte Tomato Sauce is available in supermarkets, groceries, and market stalls nationwide. 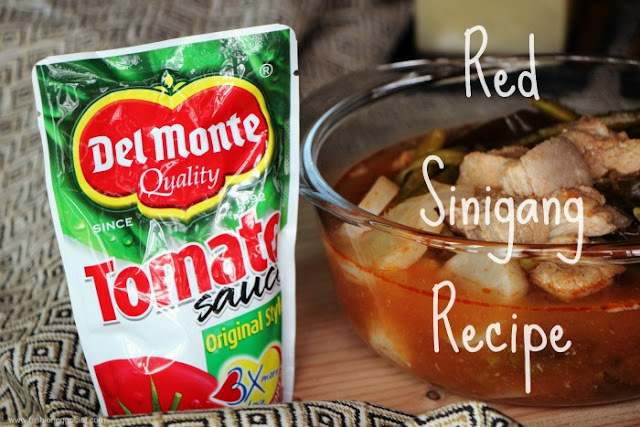 For more red recipes, visit www.delmonte.ph.